Here's something you may not know about me and why I'm so committed to giving back. Let me provide some back story. I grew up in a rural Oregon town, a mere speck on the map and no stop lights. Well versed in my ABC’s, I skipped kindergarten and began 1st grade at age 5. While I excelled academically, I was physically awkward through my teen years. My graduating class was less than 35 students, so any school activity or sport basically required everyone’s participation to stay viable. So I played volleyball, basketball and ran track. But my favorite sport was joining the cheerleading squad my Junior year. I loved cheering on other people. Despite being involved in sports throughout the school year, looking back, I was “the sick kid”. You know, the one that got knocked down by a cold or strep throat several times per year and I suffered with acne. I took dozens of rounds of antibiotics all while trying to keep up with the demands from academics, sports and other school programs. All of these activities kept me busy and I was used to pushing through the stress and illnesses. College was an exciting change! So many new people and experiences at the University of Oregon. I continued to push myself academically with many hours of late night studying and take-out pizza. By the time I was ready to graduate, I had packed on the “Freshman Fifteen” and then some. I also continued to get sick and suffered from seasonal allergies and daily migraines. I had TWO things that happened my Senior year that proved to be significant life events. First, a friend introduced me to her Chiropractor. With my first adjustment, my health began to change. My constant headaches were gone and my allergies improved. Second, I changed my major to Psychology & Women’s Studies. Again, I love communicating with people and have a passion for inspiring and empowering women. To graduate on time, I had to take 18-20 credits per quarter. To round out my graduation requirements, I took a weekend seminar on nutrition. I was fascinated to learn how to feed my body for healing and the importance of protein. I had stopped eating animal protein for several years and didn’t know anything about vegetarian sources of protein. No wonder my immune system was shot! This was my launching point for the beginning of my career. From there, I moved to Kansas City to attend Cleveland Chiropractic College. There I met my future husband and we completed our doctorate program in 2003. I was awarded a Clinical Excellence Award and further developed my passion for women’s health, with a clinical focus on pregnant women and babies. In 2005, we were thrilled to discover I was pregnant with our oldest son. My nutrition was on point and I exercised regularly throughout my pregnancy. Then, I had a baby. And as many new mothers can attest, my needs took a back burner and I wasn’t exercising or eating as well as I should. Then, I had another baby. And the lactation diet didn’t work as well this time. I was overweight, exhausted and subsisting on coffee and carbs. Then I attended a weekend workshop and heard this, “you can’t be an authentic physician, advising patients to eat right and exercise if you’re not doing it yourself.” Ouch. Right through the heart. That Monday, I made the decision to invest in my health and called and made an appointment with a personal trainer. I had never done consistent weight training and was intimidated to use that section of the gym. During that first assessment, I couldn’t do a sit up or push up and my sweat smelled like greasy French fries. I was in really poor shape. But I committed to training 3x/week and my trainer was a wonderful accountability partner. As I gained strength I also gained confidence. I was no longer that awkward teenager and in fact was even able to do handstand pushups! At age 38, I was feeling healthier and stronger then I had in my whole life. My trainer encouraged me to compete in a fitness competition. I thought, “No way!! !” But it’s funny how an idea will take root and I committed to 12 weeks of training for a competition. I hired a competition coach that aligned with my values: No crazy diets. No artificial sweeteners. No appetite suppressants. No metabolic stimulants. No hours and hours of boring cardio. Only real food and quality workouts. At age 38, with a body that birthed two children, I won 2nd place amongst women half my age! While my stage photos looked awesome, what I’m most proud of is the 12 week journey leading up to the 30 seconds on stage. That’s where the interesting part of the story is. Do you know my secret? Consistency. As my coach would always say, “Just follow the plan.” I meal prepped on Sundays. I would create workout “challenges” with my kids outside. I included my family on my journey. They didn’t see Mom “on a diet”…they saw Mom nourishing her body and modeling healthy food choices while pursuing her fitness goals. In the end, this was a GREAT experience for me because it demonstrated just how powerful food alone can be and what you can do when you put your mind to it. I made simple, practical and consistent changes and I didn't starve myself. Whatever health challenge you may be facing and however dire your needs are for improved weight and improved health, there is an answer out there. 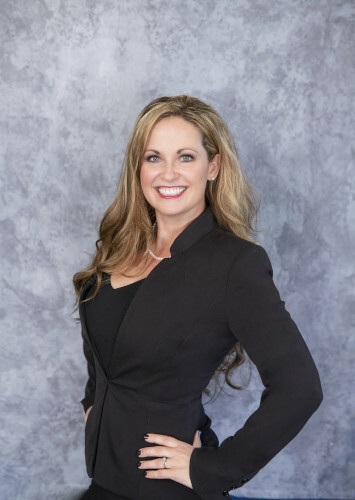 My mission is to help people achieve their health goals as quickly as possible in a safe and supportive environment and enjoy lifetime results, thereby improving the overall health of our community and building a culture of wellness and vitality through optimal nutrition. With regular success visits, follow up body composition analysis, daily texting support, whole foods recipes and DNA testing, we are geared to help you celebrate success! 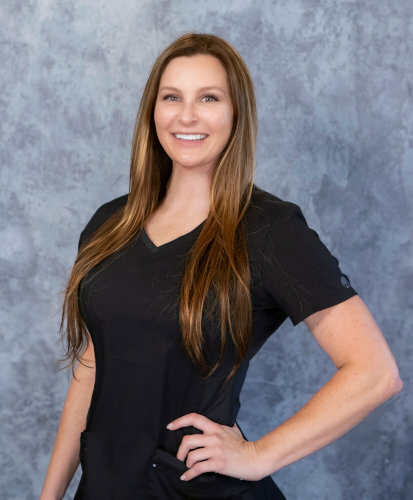 "Promoting Health and Wellness in Our Community"
Erin Rogers is a Licensed Massage Therapist, Rehab Specialist and certified in FMT. She has been in Chiropractic Health for the last 14 years. My passion is to help others reach their greatest potential. Erin is a mother to 2 sons, ages 10 & 8.